Are you looking for quality Ford service and repair in Phoenix? Then you have come to the right place!! 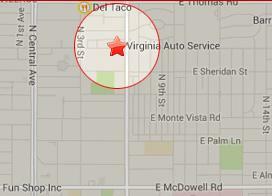 Virginia Auto Service provides complete Ford service & repair in Phoenix, Arizona. Auto Repair Shop Phoenix AZ – Virginia Auto Service provides complete Ford service & repair. Factory certified technicians. Clean, modern shop. Here’s what our customers are saying about Virginia Auto Service. Why choose Virginia Auto Service for Ford service or repair? We do quality work at fair prices. We are conveniently located in downtown Phoenix near many major Phoenix employers including APS, Arizona State University, SRP, Chase Field, Phoenix Children’s Hospital and more. We will take you to work and pick you up. We employ ASE certified technicians with years of experience working on Fords. We use the same tools and equipment used by the dealerships, including the Ford Integrated Diagnostic System (IDS) to identify service issues. 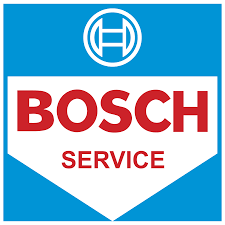 We care about you and make it our top priority to keep your vehicle in peak operating condition at the lowest cost possible. We are a family owned business that truly cares about our customers and our community. We provide free loaner ride to and from work or home in downtown Phoenix, free loaner cars, free road side assistance, free Wi-Fi, free pickup and delivery, easy online scheduling, AARP discounts and more. We do our best to make it easy for you to get your car repaired. Call us today at 602-266-0200 to get a free second opinion about your recommended Ford service or repair or schedule an appointment for Ford service online. Listen to Virginia Auto Service’s owner Matt Allen along with his co-host Dave Riccio as they discuss automotive issues and solutions on Bumper to Bumper Radio every Saturday morning at 11 am on 92.3 FM KTAR.